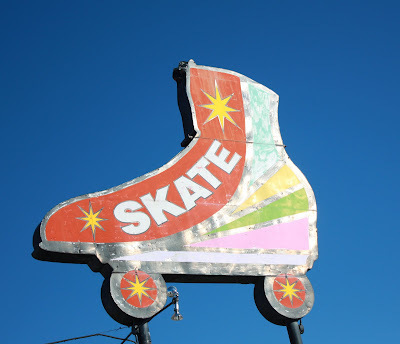 To find a rink, you have to drive to nearby Nampa. This Rollerdrome has been around for a few decades. LOVE photos like this one that situate the shot in a given community. Your after the storm shot is unbelievable-- and the reason cameras were invented! It's nice to see some roller rinks still exist. We had two or three of them here during my childhood (and my mother's childhood) and teen years. I'm not up to date but I think they're all gone now. "The Center of it All"
When Did Bowling Balls Get So Artsy?